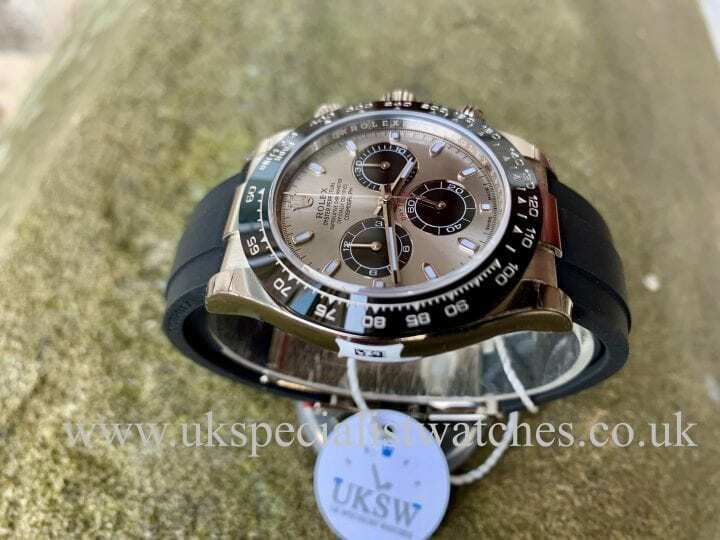 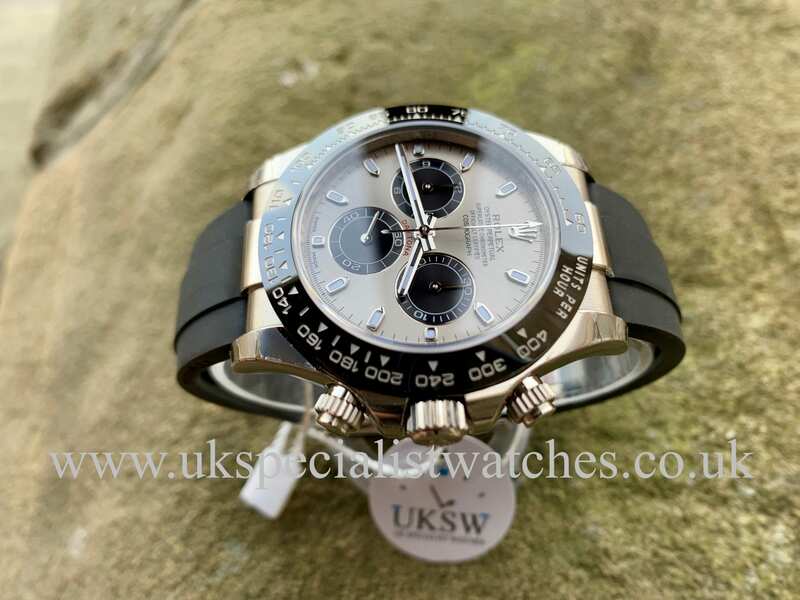 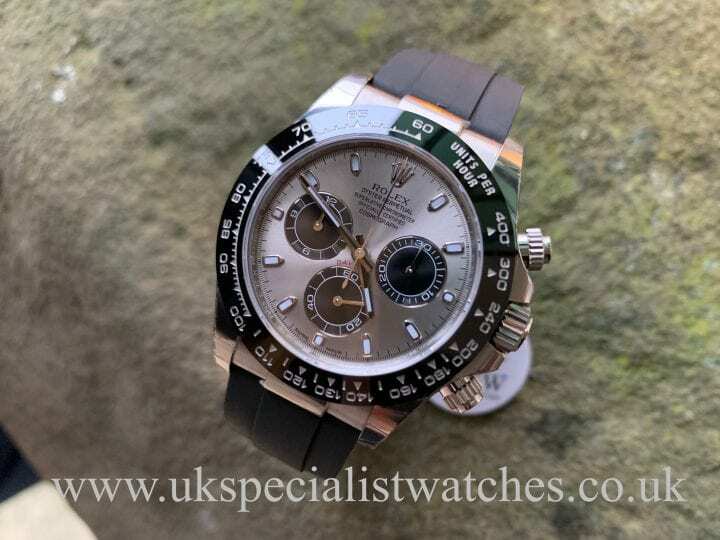 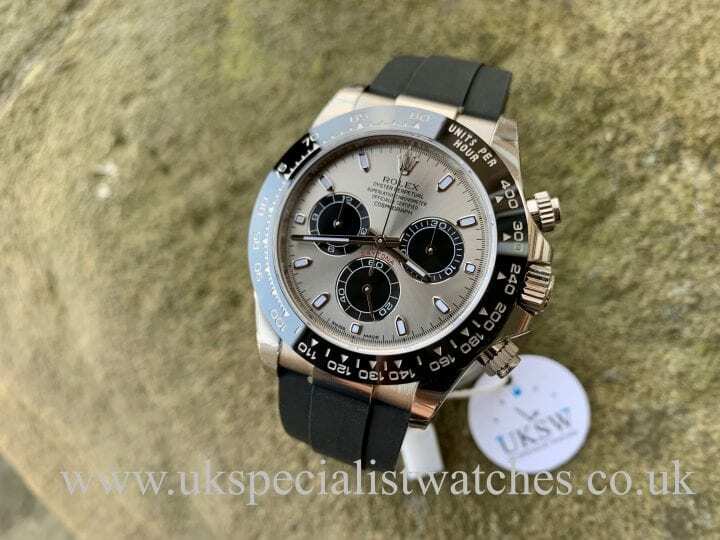 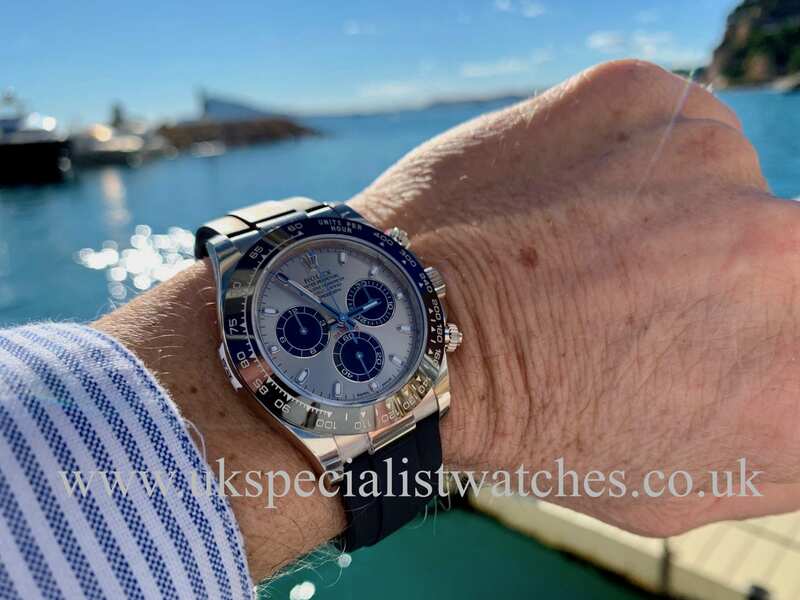 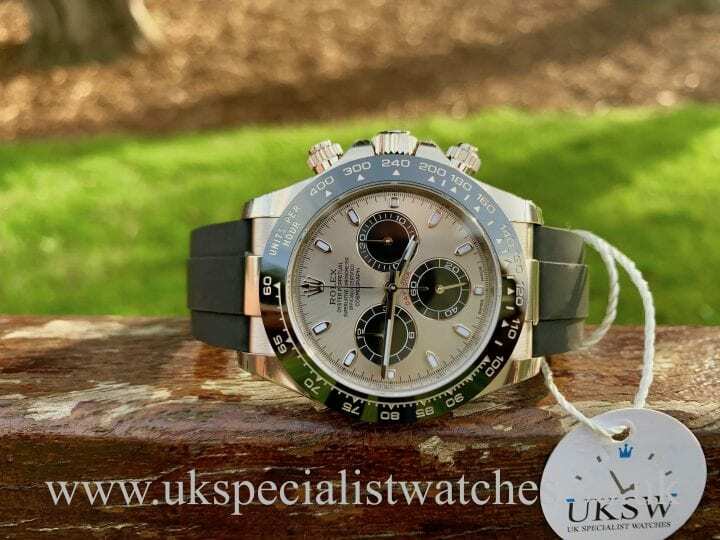 Rolex Daytona 116519LN with a 40mm solid 18ct white gold case, rhodium silver dial with black sub dials, 18ct white gold hands and the latest black ceramic bezel. 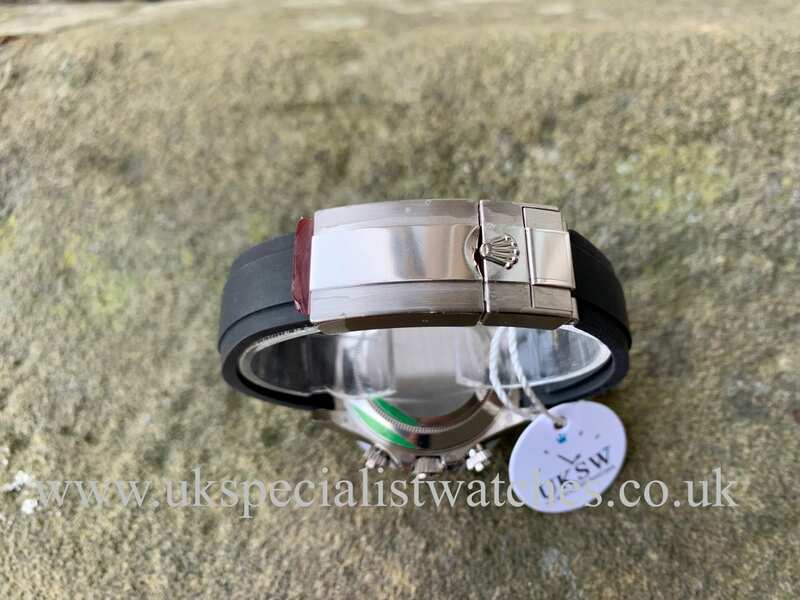 Fitted to a super comfortable black Oysterflex rubber strap with solid 18ct white gold double folding clasp. 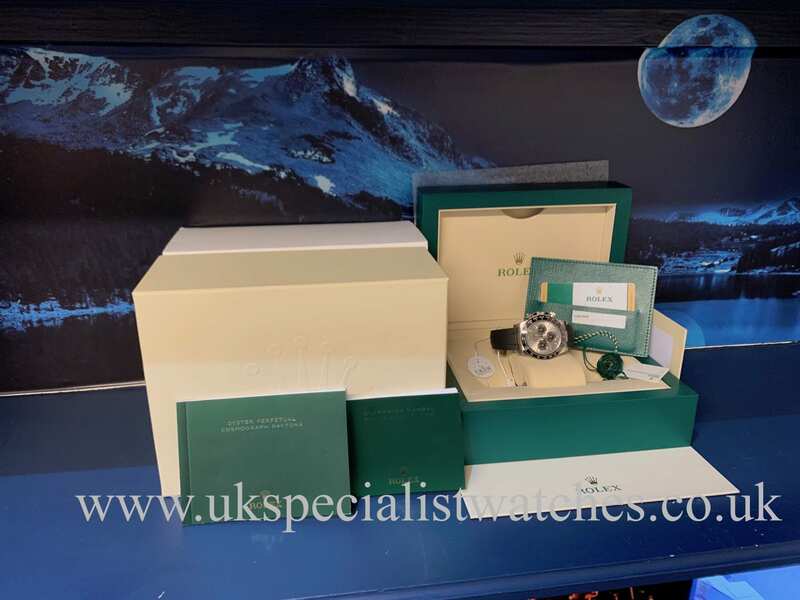 Our stunning UNWORN watch comes complete with all boxes, stamped warranty card, booklets and all stickers still remaining on the watch!